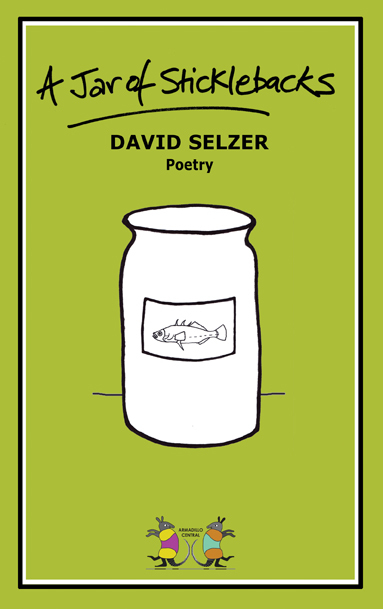 David Selzer’s first collection of poems for Armadillo Central focuses on people, both known and unknown to the author. The 20 poems showcase David’s skill with words and understanding of their innate power and natural rhythm. A Jar of Sticklebacks explores themes as diverse as love, death, racism, war, nature, popular culture and the passing of time. Each poem is imbued with a gentle sensitivity and a generosity, to both subject matter and reader, which harks back to the old-school poets. While David refers to some of these masters in his Afterword: Auden, Yeats, Larkin, Hughes and Plath, to name just a handful; his voice is entirely original, anchored in his own rich life experience. Visit David Selzer‘s page to find out more about him. The retro cover was designed by Daz Smith with jar and stickleback drawn by Jennifer Copley-May. BUY PRINT BOOKS: from Amazon.com or Amazon.co.uk as well as from other Amazon stores worldwide. 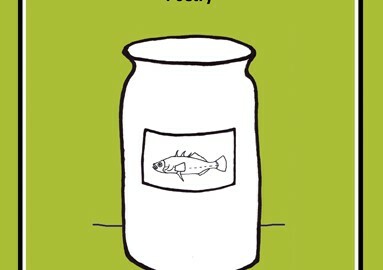 BUY eBOOKS: you can also buy A Jar of Sticklebacks in 3 digital formats, all available from us direct or visit Amazon to download straight to your Kindle. eyes and skin pristine, as if painted.